Well, the data speaks for itself. I wanted to use this screenshot, however, to show you the story because I think it does a fantastic job. Without having to read the article, the image encapsulates what is to come in the article. That said, there are a few other scatter plots worth checking out if the topic is of interest. And the explanation of the data makes all the more sense. 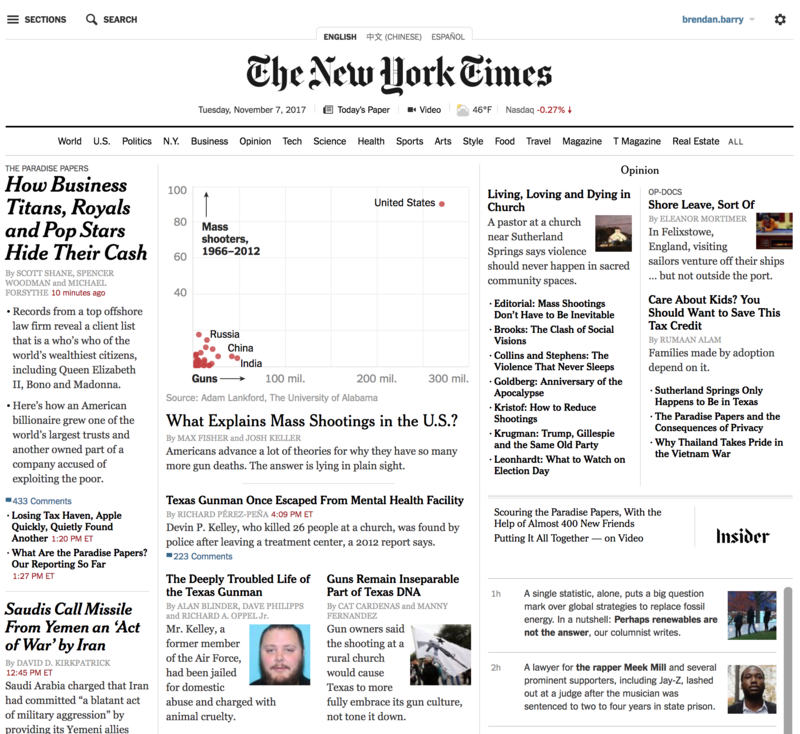 But I really loved the impact of that homepage. Credit for the piece goes to Max Fisher and Josh Keller. 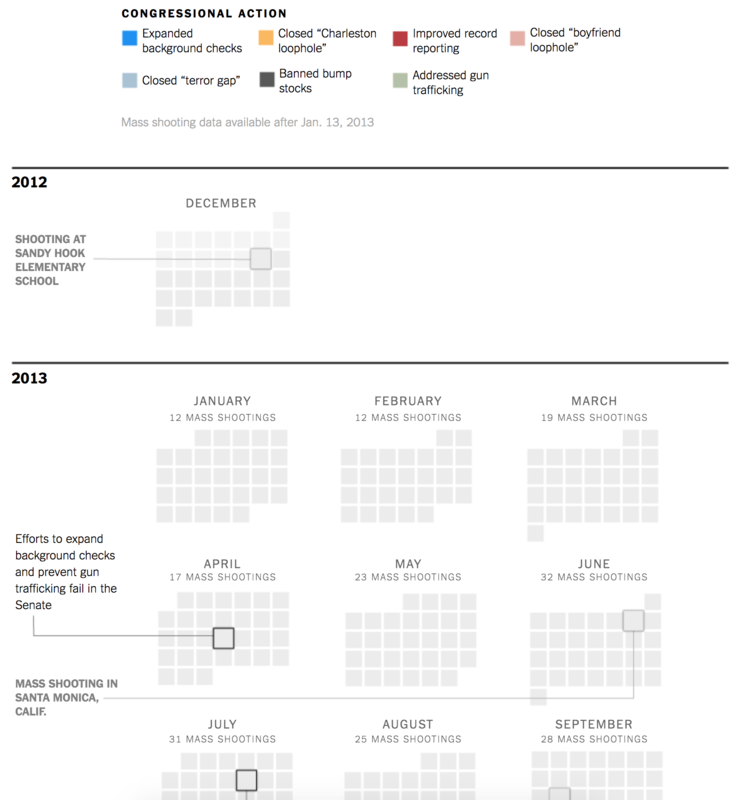 Author Brendan BarryPosted on 8 November 17 8 November 17 Categories InfographicTags data visualisation, editorial design, guns, infographic, information design, New York Times, politics, scatter plotLeave a comment on Why So Many Mass Shootings? 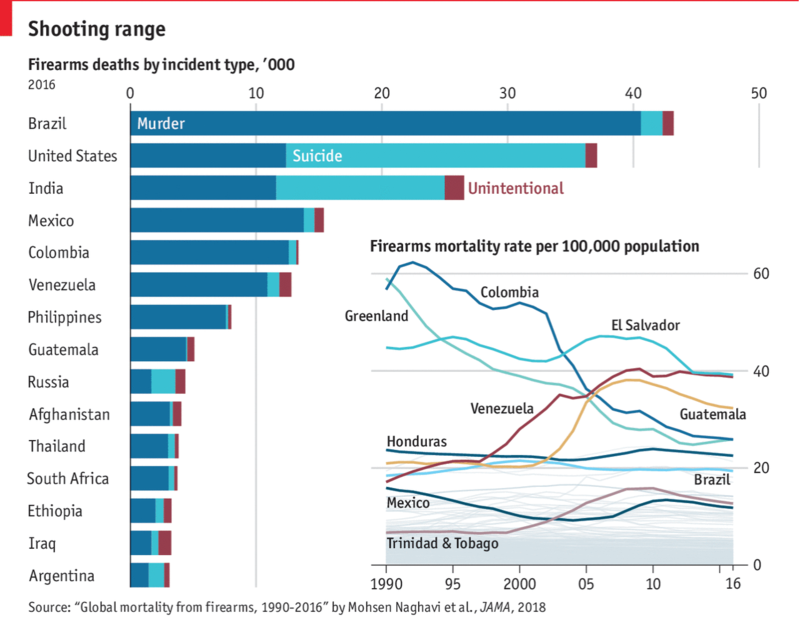 When I lived in Chicago, people back East would always ask if I was worried about murder and gun crime in Chicago. My reply was always, “no, not really”. Why? Because I lived in generally safe neighbourhoods. But on that topic, the second most numerous question/comment was always, why are the strict gun laws in Chicago not preventing these crimes? More often than not the question had more to do with saying gun control laws were ineffective. 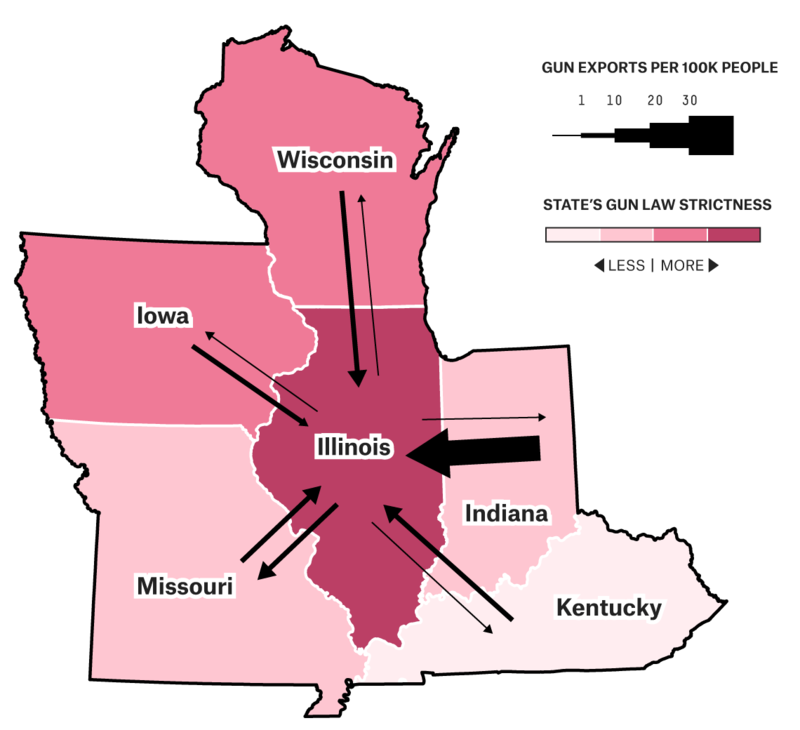 But in Chicago, it seemed to me to be fairly common knowledge that most of the guns people used to commit crimes were, in fact, not purchased in Illinois. Rather, criminals imported them from neighbouring states that had far looser regulations on firearms. Today’s post from FiveThirtyEight looks at that very topic. They bring back more than just cheese from Wisconsin…I am not the biggest fan of the maps that they use, although I understand why. Most Americans would probably not be able to name the states bordering Illinois, California, or Maryland—the two other states examined this way—and this helps ground the readers in that geographically important context. 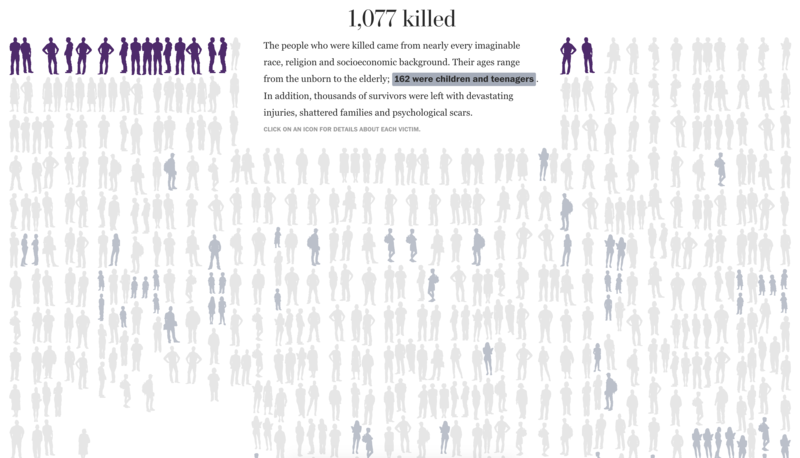 But, thankfully the designers opted for another further down in the article that explores the data set in a more nuanced approach. Surprise, surprise, it’s not that simple of an issue. Credit for the piece goes to Rachael Dottle. Well news definitely happened whilst your author was on holiday. 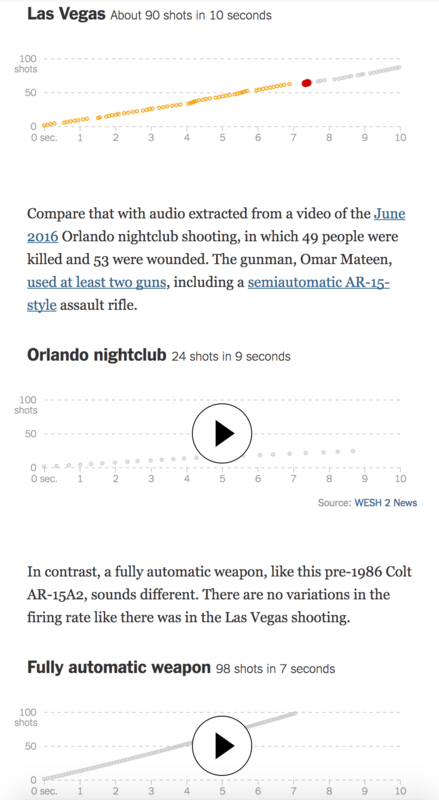 So today we look at an informative piece from the New York Times that compares the weapons fire from the Las Vegas shooting to that of Orlando and a fully automatic weapon. This piece makes good use of both audio and motion graphics to show how the bump stock makes a semi-automatic rifle more like what we might call a machine gun. It also includes some nice illustrations that demonstrate how the stock does what it does. From an audio standpoint, I do want to point out that the designers made a wise decision in opting not to use authentic sounds. Instead they chose an abstracted sound, allowing the user to focus on the rapidity and steadiness of the sound. Credit for the piece goes to Larry Buchanan, Evan Grothjan, Jon Huang, Yuliya Parshina-Kottas, Adam Pearce, Karen Yourish, C.J. Chivers, and Thomas Gibbons-Neff. I had dinner with an old friend earlier this week and in the course of our conversation we discussed the bans of knives and guns from hospitals. 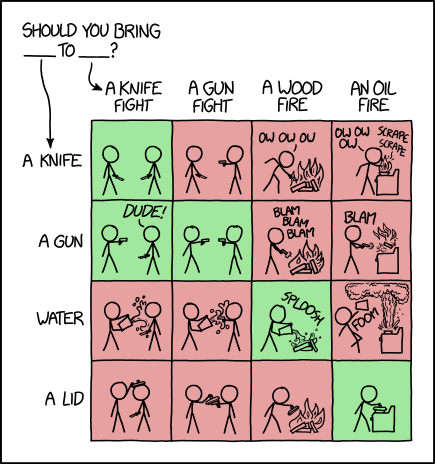 That reminded me of this xkcd comic from last week. I loved the title of this piece from the Washington Post that I had to borrow it myself. Of course all credit goes to that particular copywriter. 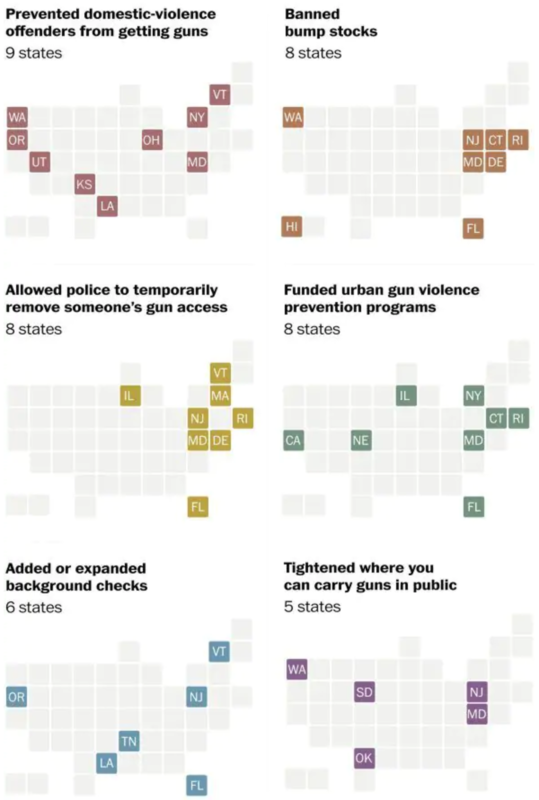 The Washington Post looked at counties and states where gun stores outnumbered museums and libraries. Thankfully my home county has more knowledge than guns. Sadly, the same cannot be said for large areas of the country. 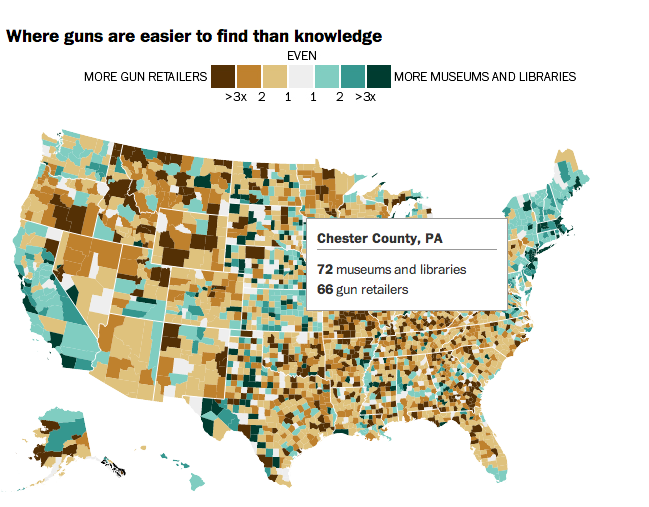 And of note, while Pennsylvania is narrowly more gun than knowledge, the city of Philadelphia ranks second in terms of ratio of libraries/museums to gun stores at 16.93. Only New York City ranked higher.